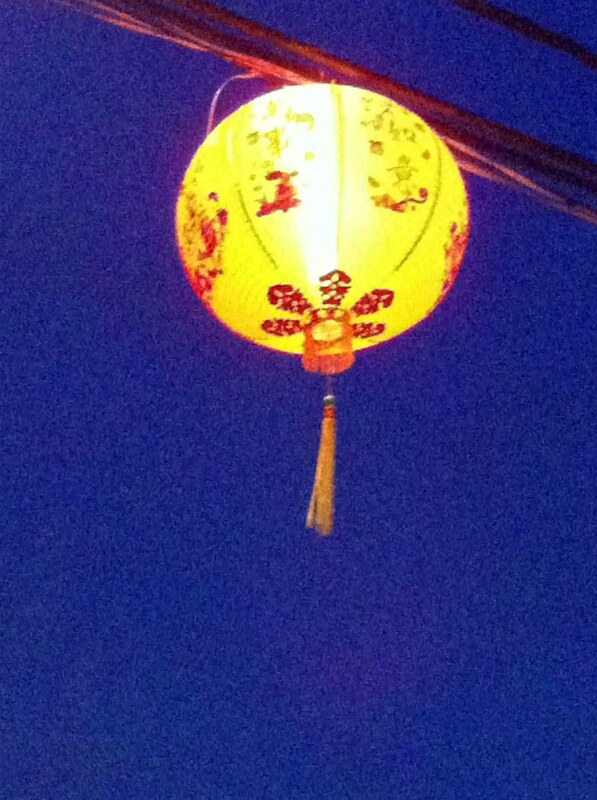 January 23rd marked the beginning of the Chinese New Year. 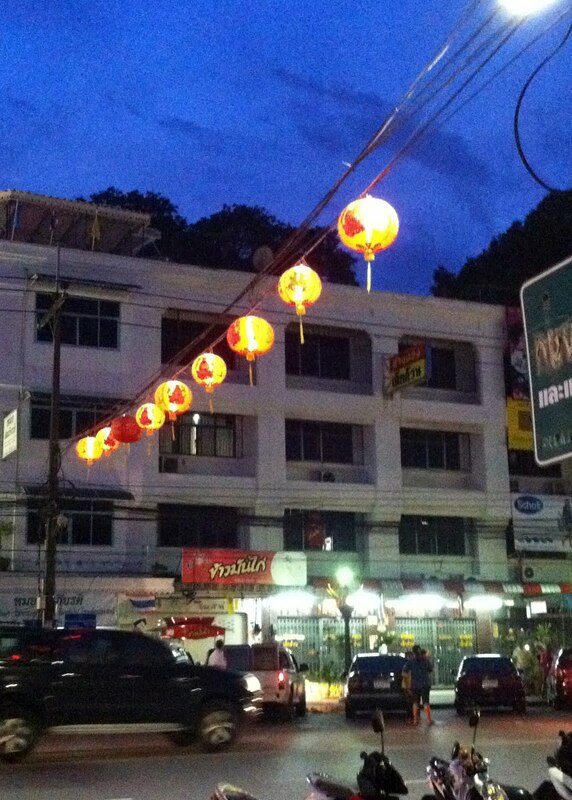 Here in Thailand festivities weren't limited to one day, but rather the entire weekend before was celebrated. There are a lot of traditions, many food related, connected with the Chinese New Year celebration. Another tradition is greeting family, friends and neighbors with auspicious greetings wishing luck, happiness and prosperity for the new year. 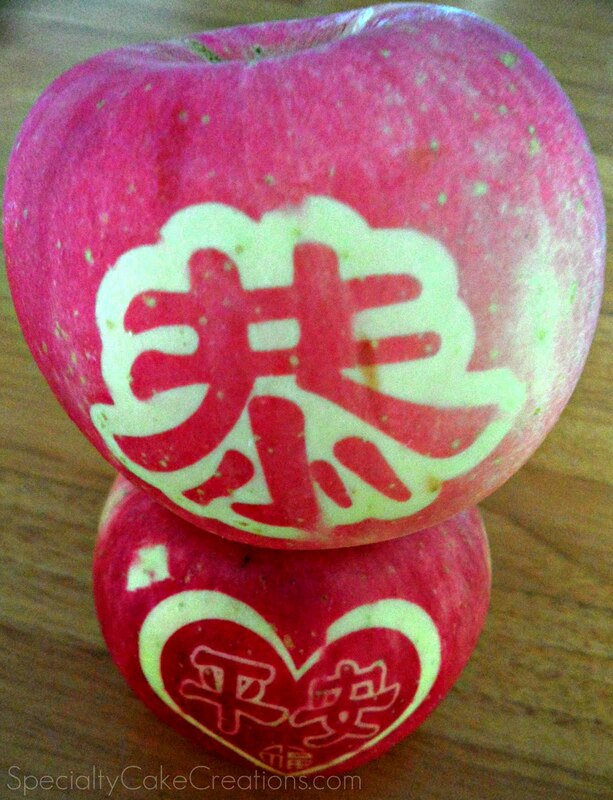 In the supermarket I came across these apples that are combining a food related tradition with auspicious greetings. 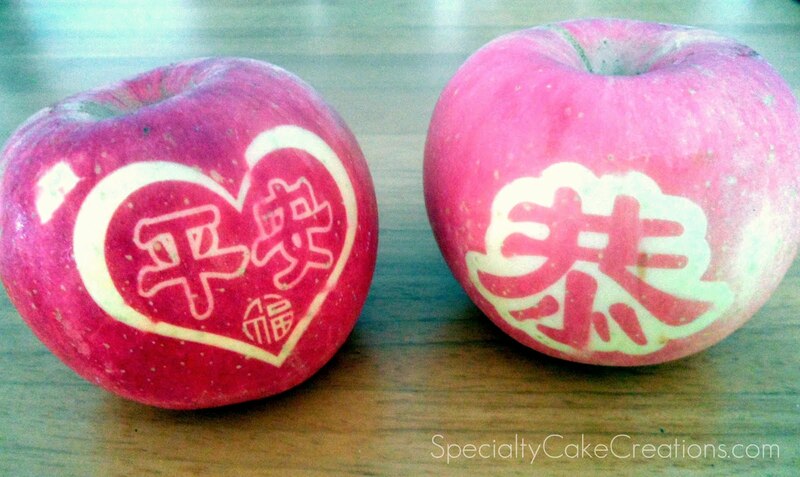 I was so intrigued and really curious how the writing was brought onto the apples. So I picked up a couple, ready to do some online research once home. 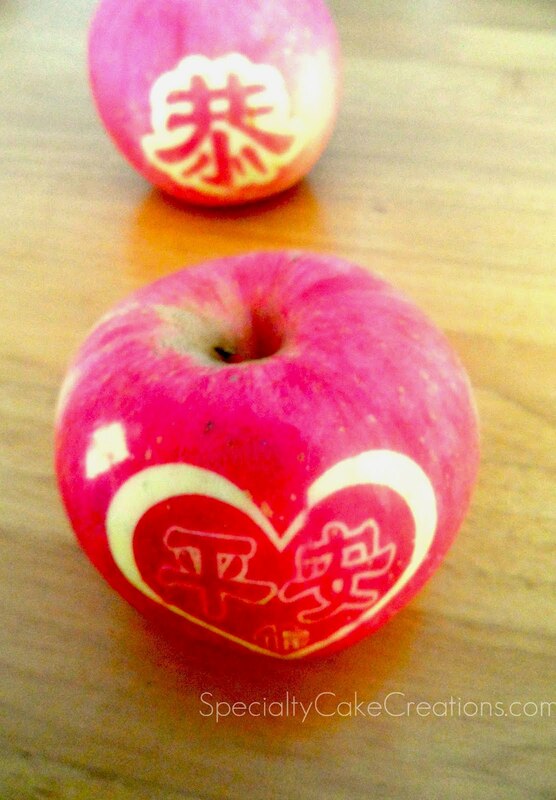 Turns out to bring the writing onto the apples a sticker is put on before they fully ripen. The sticker blocks out the sun so that where it is placed the apple does not redden. Pretty cool. 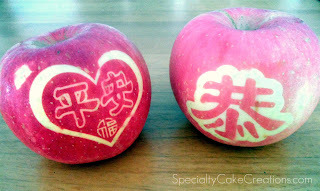 I believe that the top apple says something like congratulations, but I have no clue for the writing within the heart. 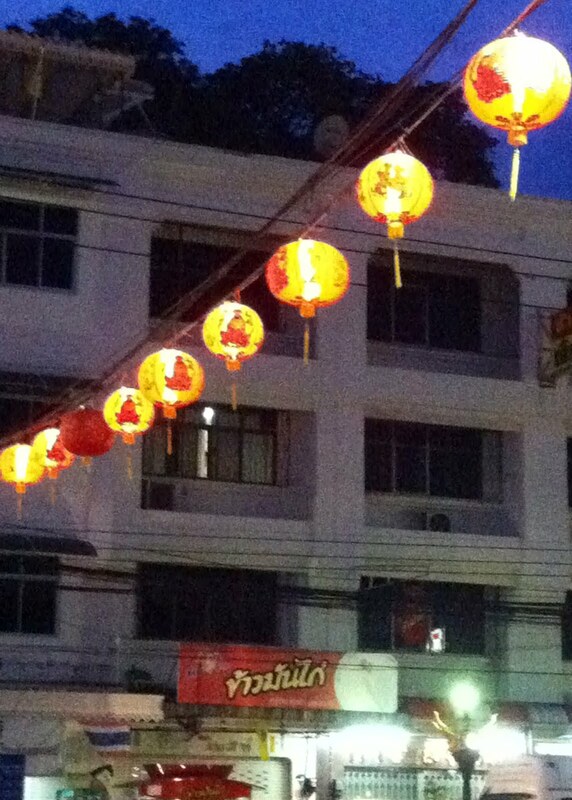 Chinese New Year is a family holiday, and here in Thailand it is mainly celebrated within the homes. So we can’t observe too many of the details. What we have noticed are the beautiful lantern garlands decorating the town streets and some homes and stores, as well as the extensive use of fire crackers. Really loud crackers. At any time of time. On the first day of celebrations, both of us half jumped - half fell out of bed from the noise of the first crackers by a neighbor. They sound an awful lot like gunfire or like hail on a corrugated iron roof, depending how close you are. On the actual New Year's Eve we went out to eat at a restaurant. It was a busy night for the owners, and they actually had to turn guests away. Several other eating locations at the markets, run by locals, were closed for the festivities. Resulting in more, or too many guests, for the places that stayed open. We enjoyed some great shakes and this fantastic fruit salad that was served in a hollow pineapple half. 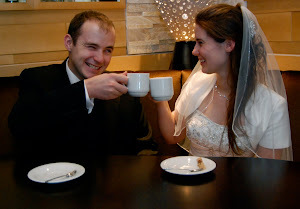 Konrad and Regina Braun. Simple theme. Powered by Blogger.